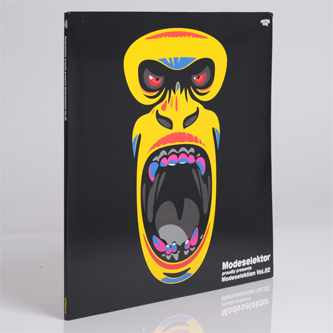 *With exclusives from Egyptrixx, Monolake, Martyn, Anstam, Addison Groove and much more* The second bumper collection of bangers from Deutch duo Modeselektor’s rapidly expanding Monkeytown imprint. 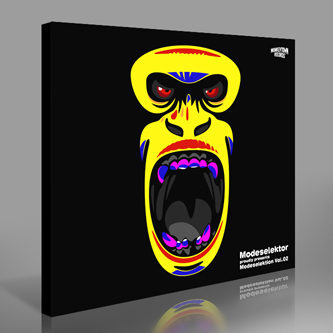 The last comp was a way for the lads to explain exactly where they were heading with the label, where this seems more like a celebration – a kind of “yeah we f*ckin’ did it”. 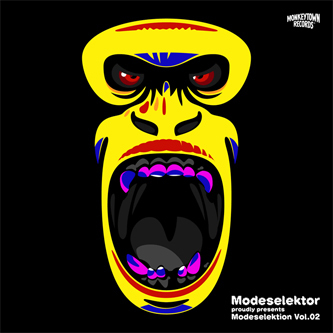 Dragging in a bunch of their mates to contribute big ‘uns in amongst Monkeytown artists like Phon.o, Addison Groove and Mouse on Mars, ‘Modelektion Vol.2’ is a restless, widescreen representation of the current state of innovative dance music in 2012. I suppose this is what we were promised with the IDM tag all those years ago, and certainly we get genre survivors Clark and Prefuse 73 turning in new bits for re-appraisal, and Clark’s in particular should be enough to convince you this is worth the pennies. Martyn’s massive ‘Red Dancers’ (which appeared on the preview 12” a couple of weeks back) is a highlight too, but my pick of the lot is Egyptrixx’s doomy, grinding, analogue slice ‘Levitate, that sort of sounds like Demdike Stare collaborating with Human League… if that makes any sense at all. Well good.